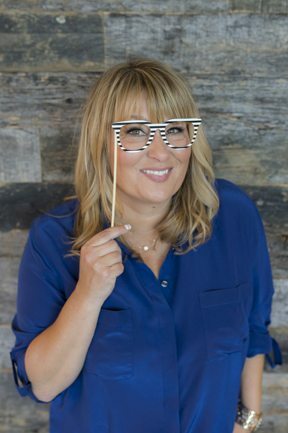 Crystal Patriarche has an extensive 17-year background building a simultaneous career in both public relations and publishing, disrupting both the book and magazine industries. Early in her career, she led public relations strategy for Fortune 500 accounts and start-up software/tech companies at global high-tech public relations agencies Weber Shandwick Worldwide and Brodeur Worldwide. She executed PR campaigns for established brands in tech and consumer spaces (Microsoft, Sony, LSI Logic, and national homebuilder Pulte Homes) and hot startups from Hollywood comic icon Stan Lee to Academy Award-winning visual artists from Sony and DreamWorks. After leaving the high-tech agency world, which was mostly dominated by men, she turned her attention to working with and elevating women and female-focused brands. She spent five years as Editor in Chief and head of PR and celebrity partnerships for SheKnows.com, a start-up digital publisher for women and one of the first digital only women’s magazines headquartered in Scottsdale, Ariz. She worked her way up from contributing writer tackling parenting topics while raising her small children, to leading an award-winning, all-female editorial and freelance team and forging partnerships with major women-focused brands, media and female celebrities like Cindy Crawford, Jessica Alba, Candace Cameron, Hillary Duff and more. Patriarche started her own company, SparkPoint Studio, which began as her own PR agency but has quickly grown into a multi-media company with several divisions: BookSparks, which promotes New York Times’ bestselling and debut authors in a variety of genres from a variety of publishers (HarperCollins, St. Martin’s Press, Penguin Random House, Simon & Schuster and more); three award-winning publishing arms which publish authors through an innovative hybrid model where authors have more creative and financial control while still getting publishing and editorial guidance, vetting and full distribution (SparkPress, She Writes Press and SheBooks); and, finally, the company operates a community of women readers (SheReads.com) and a community of 35,000+ women writers (SheWrites.com). Patriarche has quickly built a reputation as “the go-to, innovative book publicist”,female community builder, risk taker and CEO working with mostly female authors, experts, and influencers by creating innovative, results-driven, and female-focused campaigns that merge traditional and digital strategies and trailblazing new paths for and with female storytellers to publish their work. She took on a book publicity project in 2009, applied her high-tech and start-up PR experience and passion for books to the campaign and through rapid word of mouth, strategic acquisitions, growth strategies and building an all-female dynamic team of professionals based in Tempe, Ariz., with satellite offices in California and New York, SparkPoint Studio has now launched more than 400 of the most well-known and up-and-coming female authors through innovative book marketing and PR and has nearly 500 signed authors through the company’s publishing arms, which have won hundreds of literary and industry awards, appeared regularly in national media, and have been published in multiple countries.